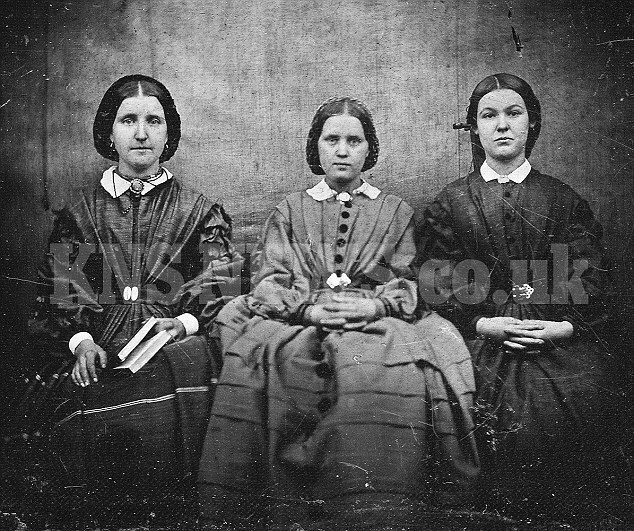 Is this the only photo of the three Bronte sisters? 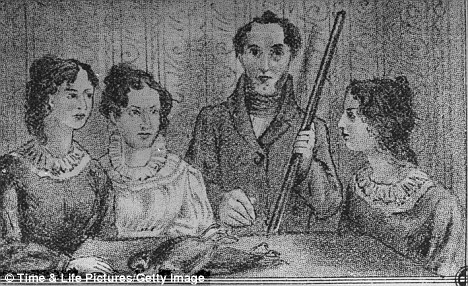 A collector who bought picture for $25 on eBay believes it shows sibling novelists. It certainly has a genuine look about it. However it would also need to be a very early photograph taken before 1848 when Emily died. It is possible because the first photograph was taken in 1826 by Joseph Nicéphore Niépce and in England John William Draper made one of his sister in 1839/40 that still exists and is regarded as one of the oldest photographic portraits known. If it is, Charlotte who was barely five feet, sits in the middle. 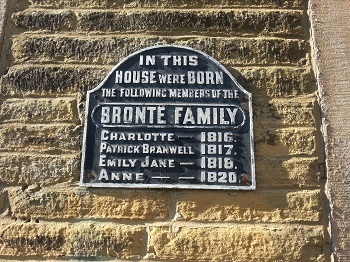 Many are familiar with the Bronte Sisters. Their story has been recently dramatised in a BBC production entitled "To Walk Invisible." Less realise their mother, a Branwell, came all the way from Penzance, the other end of the country, on an arduous journey before the age of steam trains. Elizabeth Branwell (2 December 1776 – 29 October 1842) arrived from Penzance in 1821, aged 45, after the death of Maria, her younger sister, to help Patrick look after the children, and was known as 'Aunt Branwell'. When some years ago we visited Haworth, I was struck by the barren landscape and something of the harsh reality of Victorian life in a remote Yorkshire location, accurately captured in this BBC production. If the contrast between Penzance and Haworth was stark to me, how much more so for the Branwell sisters in the early eighteen hundreds? The Penzance property was much more amenable, though perhaps not quite as grand. Both were adjacent to the Parish Church and within the sound of its tolling bells. Beyond that there were few parallels either in landscape or climate. Removed from the sea and temperate climes of Mounts Bay, did Maria die of a broken heart or a broken spirit? The actual cause was recorded as a cancer. Elizabeth her sister, having taken the same arduous journey, managed to survive to sixty-six. All the children died prematurely, predominantly from tuberculosis, one of the biggest killers of the 19th Century. Would they have lived longer if fate had determined they had been born and brought up in Cornwall, rather than cold and windswept Yorkshire? Yet had the environment been sweeter and the society softer, would the writing have resulted or the creative genious flourished? Was the harsh reality the necessary Pennine grit to create the literary pearl? 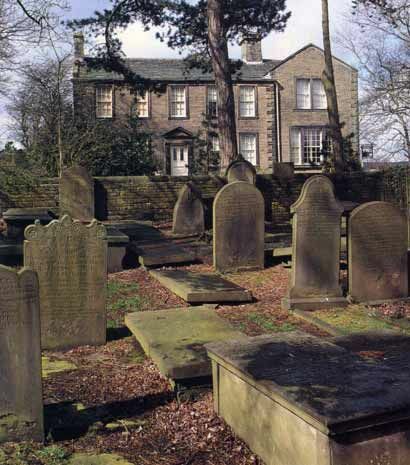 Branwell Bronte, their dissolute brother and scourge of his father, sought refuge in gin and laudanum, two favourite drugs of the period. He died aged 31 in 1841. It is thus one of the first female literary success stories and an notable turning point in the long struggle for sexual equality in art as much as in life. When their maternal grandparents house came up for sale in Penzance in about the year 2000, my young son said he would like to live there. How I wanted to fulfill his wish. It remains a very desirable property. But I am pleased I saw it before it was tastefully renovated, because it still retained the aura of the different age, when two sisters were brought up there who were to have a significant part in the creation of some of the greatest literature known to man - or woman! I cannot help from thinking I have been too dismissive and unfairly critical of the much troubled Branwell Bronte. He was only four when his mother died and eight when two sisters, to whom he was greatly attached, died also, on their return from a harsh and unkind boarding school. He remained at home, classically educated by his father and probably isolated from other children of his own age, an handicap he later tried desperately to make up for by spending his time in hostelries with local lads with whom he had little in common. He was not without literary and artistic talent himself, publishing poetry and articles and even painting himself and sisters that remains in the national collection to this day. Significantly perpaps he painted himself out of it. One gets the impression he never really recovered from his traumatic and isolated youth, which he later tried to over-compensate for, by drunken socializing and berating his father. One gets the impression that the censure from his siblings was as nothing compared to the loathing he had for himself. How could we not regard him and his family as tragic? Only Charlotte's fictional characters survive of all that pain and misery, obtaining for themselves a mythic and legendary status that will see out the age.